We deliver patient centered care through measurable clinical and operational excellence with efficiency, outstanding customer service and employee engagement. The Richmond Ambulance Authority is an industry leader, providing World Class mobile integrated healthcare. 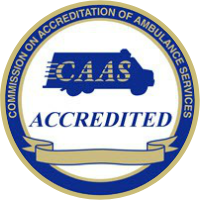 At the Richmond Ambulance Authority, we are committed to providing every employee with the tools and support to be successful. We deliver patient-centered care through measurable clinical and operational excellence with efficiency, outstanding customer service and employee engagement.